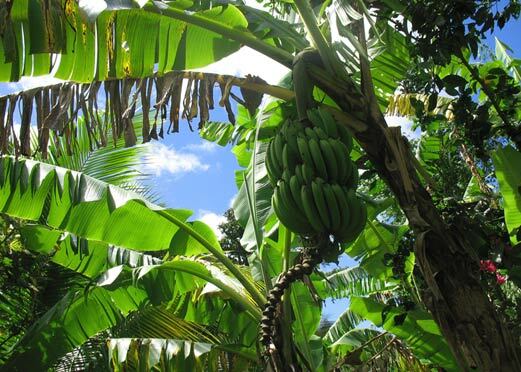 Ninety miles off the coast of Venezuela lies the nearly-hidden island of Grenada. 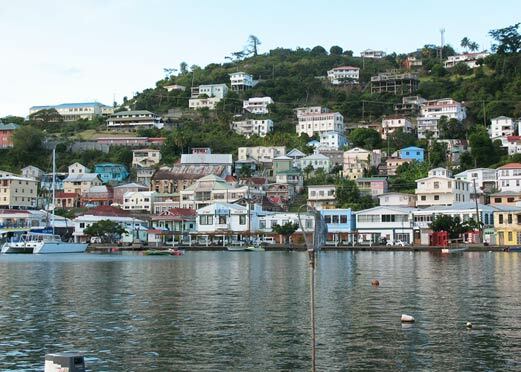 Unlike most of the Caribbean, Grenada remains largely undeveloped, saving it from the vast estates of resorts that dominate other areas. 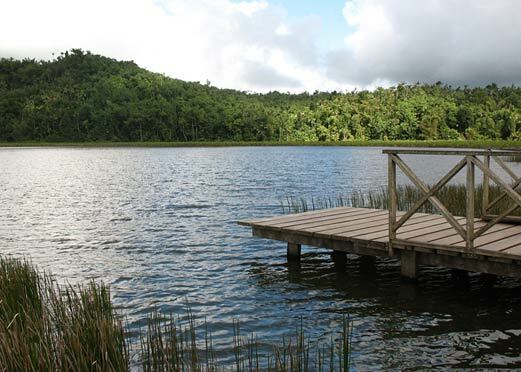 Even after Hurricane Ivan battered the island in 2004, the rebuilding has been slow, keeping it still close to its native level. 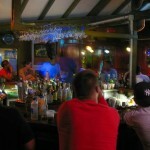 This is the charm of Grenada. 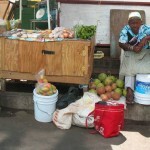 Although it is a third-world country, the Grenadians are modest, polite and loving people. They wear clean, pressed clothes and treat their rundown homes and churches with incredible care and respect. 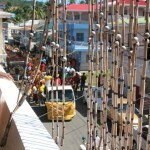 As the Reggae buses veer wildly around the narrow, curving streets, animals wander freely along the sides of the road. Just like the clear blue water that surrounds it, Grenada feels like one of the purest places on earth. At the north tip of the island is Sauteurs, a quiet town with few restaurants, and the location of the “Carib’s Leap,” where in 1651 the natives jumped to their deaths from the cliff rather than surrender to the invading French. 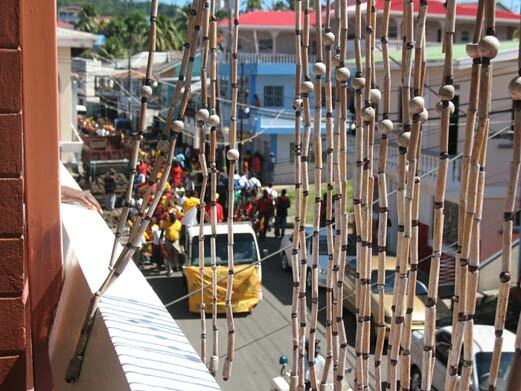 Here we see school children parading the streets during Grenadian Independence Week. 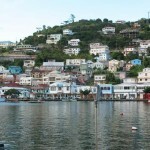 St. George, the capital city, is built around the Carenage (harbor) on the southwestern point of the island. 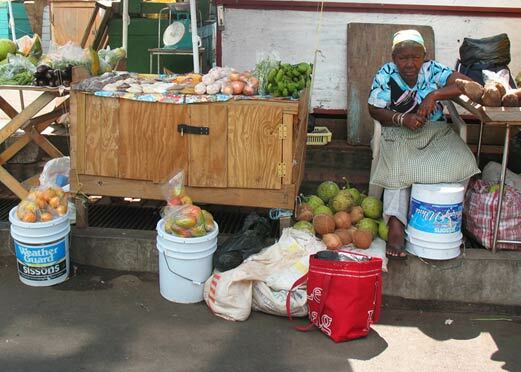 In the St. George marketplace women line the streets with their fare. Normally subdued, the market comes alive when invasive cruise ships dock for the afternoon. 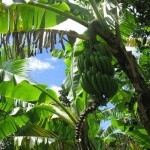 Banana trees and animals are seen alongside the roads. 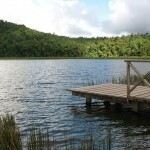 In the center of the island is the ancient volcanic crater, Grand Etang, where legends and steep ravines keep most visitors (and natives) away. 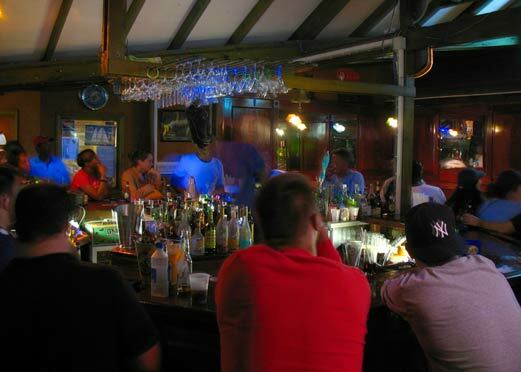 Students from St. George’s Medical School spend the evening in one of the local bars. The university, although mostly populated with American and British students, is situated quietly amid the scenery, surprisingly blending in and casting little shadow on the rest of the island.